Everybody who has been in the label business for more than 5 minutes would know James Rodden. 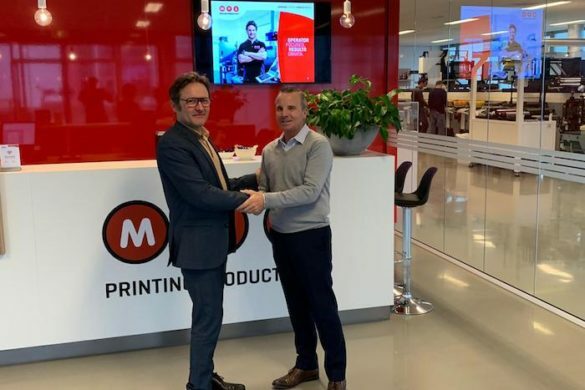 James has been part of the Australian label press scene for more than 20 years, selling the Gallus range of label presses. 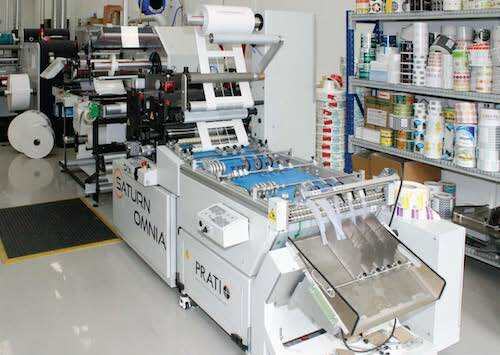 When James decided to strike out on his own under the Rodden Graphics banner, he had one major manufacturer join him – PRATI. 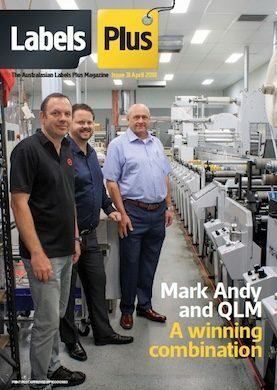 A company that James has also been involved with for many years. 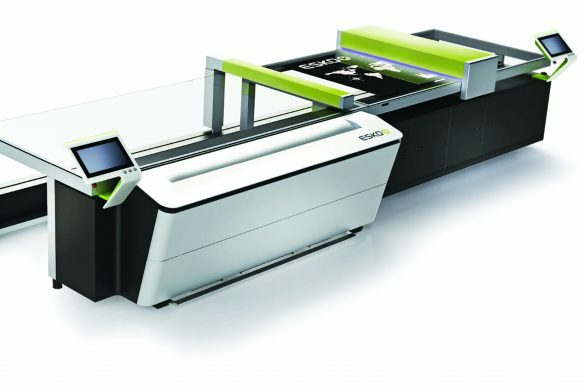 Now Rodden Graphics h has another leading name to promote and sell – Edale presses from the United Kingdom. 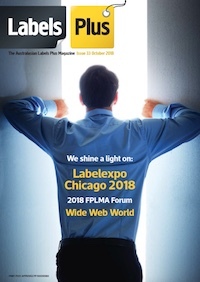 “Labels Plus” caught up with James Rodden at this year’s Labelexpo in Chicago. With him was James Boughton, Edale’s Managing Director. We asked James Boughton why there has been such a long period of inactivity Down Under and what had caused the hiatus? 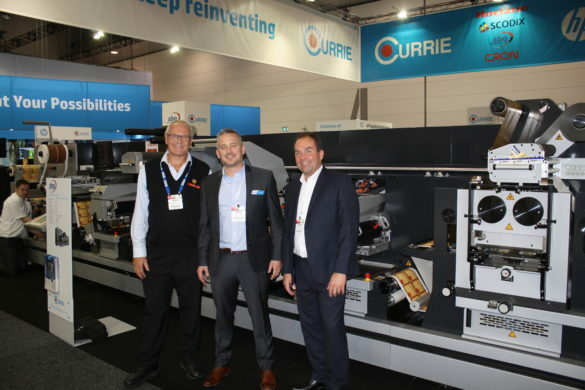 “Well, we were in the Australian market for a number of years and had sold a number of our older-generation machines,” explained James Boughton. 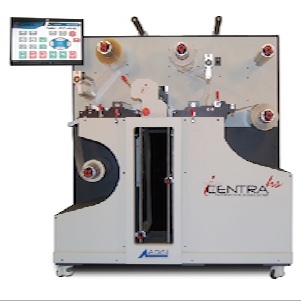 “These were the Alpha compact stack machines; the Beta modular machines, and the old E250S stack machines. We had reasonable success there with our dealer at the time, Barry MacDonald, but after he sadly passed away, our sales to Australia came to a pretty-abrupt stop. 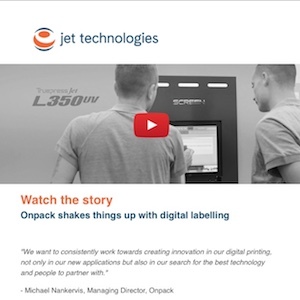 “Labels Plus” asked James how they came to appoint the other James? 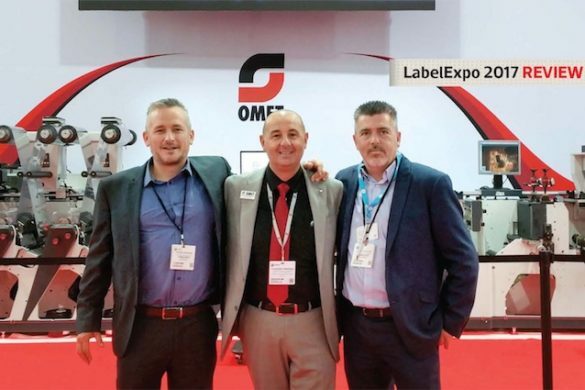 “Our Sales Director was at Labelexpo in Bangkok back in May, met James Rodden and there was an immediate connection. It was his recommendation that I should go down to Australia as soon as possible, to meet with James to see if we could build something together. 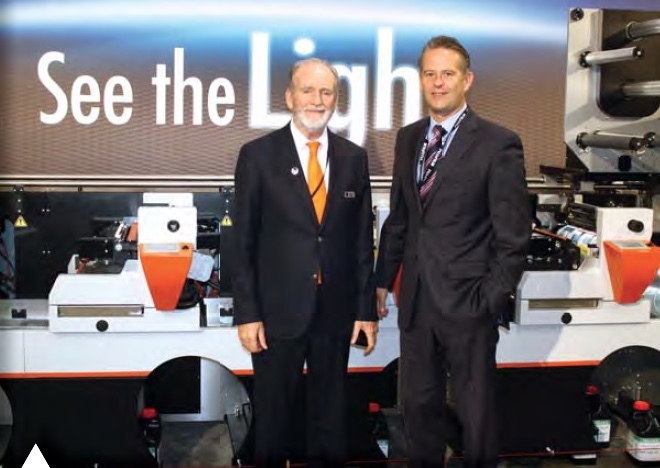 “James is so well known within the industry in Australia and has a lot of contacts. 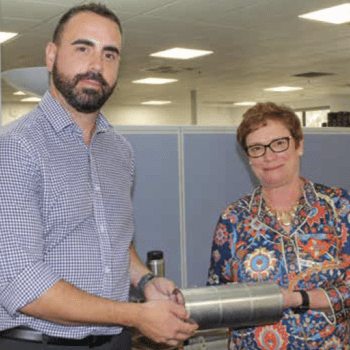 We are very much a people-business – a medium-sized company who do our business on a personal level – and we recognised that James has the same approach. 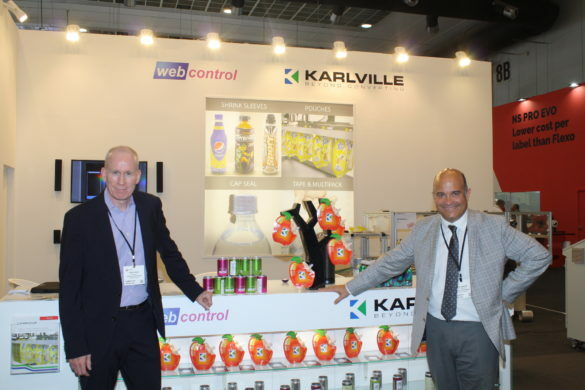 His 25 years’ experience with Gallus was a very attractive proposition to us. Another thing that has changed at Edale since Barry was working for us, is that our product pitch has changed. Back then we were perhaps in the lower to middle range in the market. 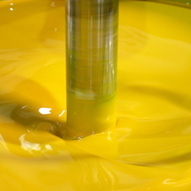 But over the past 15 years, we believe our products are clearly in the middle to upper level on the market now. Edale brings to the table. 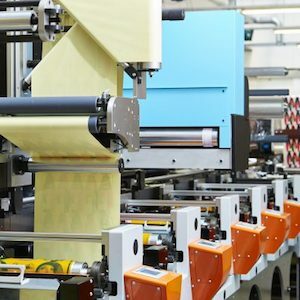 “It’s very topical at present and we are also heavily involved with hybrid inkjet-type technologies, so we believe there are opportunities for us. “James’ experience in the market will assist us. 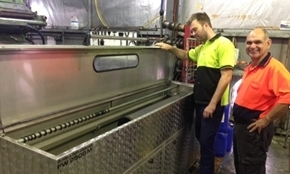 The wine market demands a high level of embellishment from the machines, as well as the more regular features. 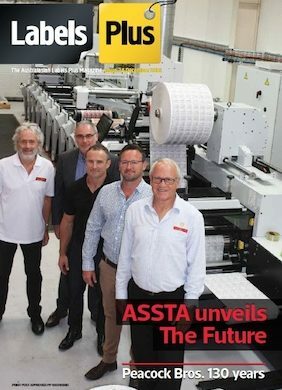 We need to do a bit of work to provide that technology, but fortunately, due to our collaboration with ABG, we have access to hot-foil stamping and embossing. 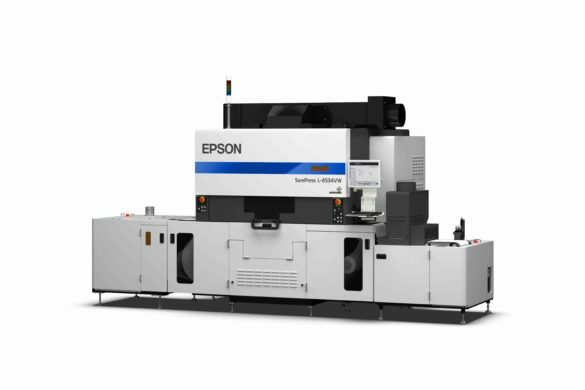 Our co-operation with Fujifilm is another plus, as we have access to their digital hi-build varnish technology, and digital cold-foil technologies, which seems from our first visit, to be of great interest. 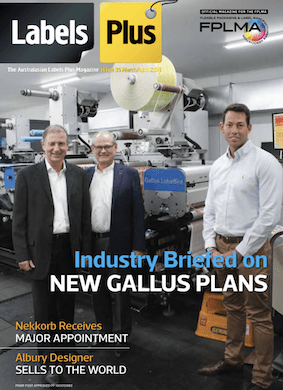 “Labels Plus” asked James Rodden about the new agency, and what he thought about selling Edale after many years being Mr Gallus? 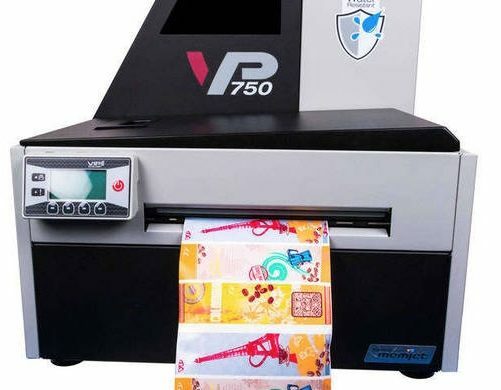 “I was always selling solutions and selling a Gallus press with a PRATI fifi nishing machine, so I think with Edale, I will be able to continue selling solutions for customers. 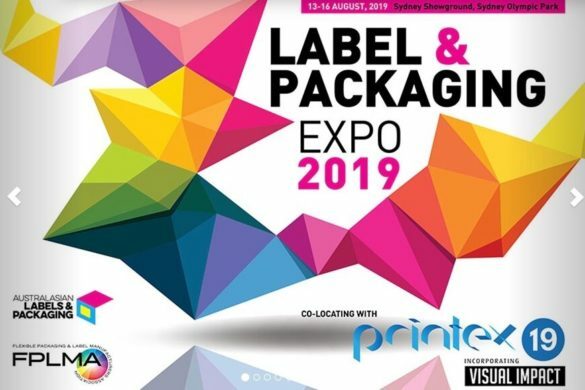 The Edale printing press can be used for labels and also for cartons, so coupled with a PRATI finishing machine it is really a winning combination for all size converters, be it labels or cartons. 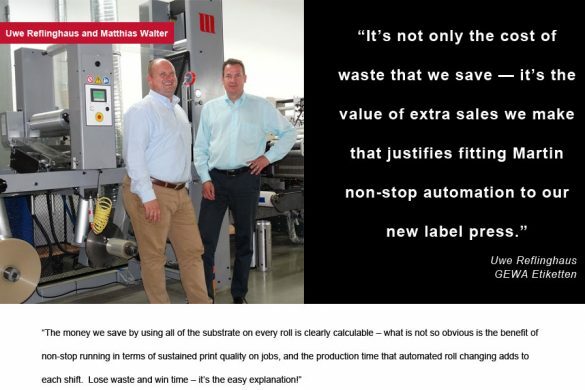 “I will be selling the entire Edale range which as James has said, has changed dramatically since last it was in Australia.” James Boughton added: “As James said, we have machines for both labels and cartons. 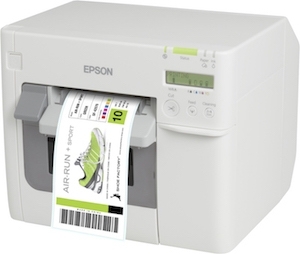 Our carton solution is unique. 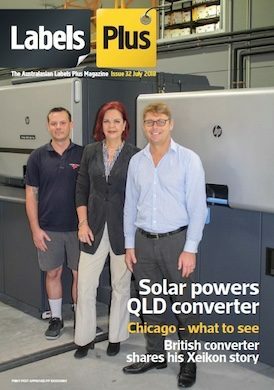 James Rodden was asked what the response had been when they visited Australian converters? 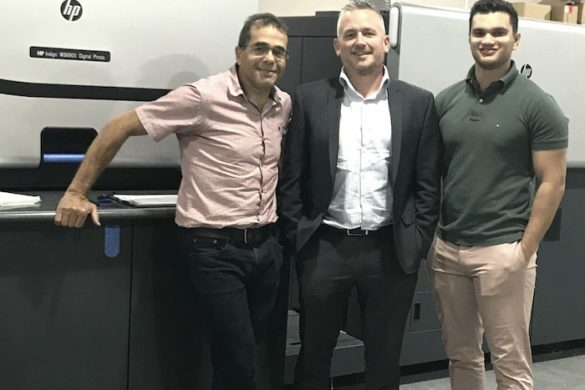 (Pic caption); James Boughton, (right) MD at Edale in the UK, with James Rodden who has taken on the Edale agency for Australia and New Zealand and told “Labels Plus” that the range of high-end machinery now available from Edale, will definitely create interest in Australia and New Zealand. Contact James Rodden on 0419 362 278.